Spacious places to pitch your tent in a unique setting. 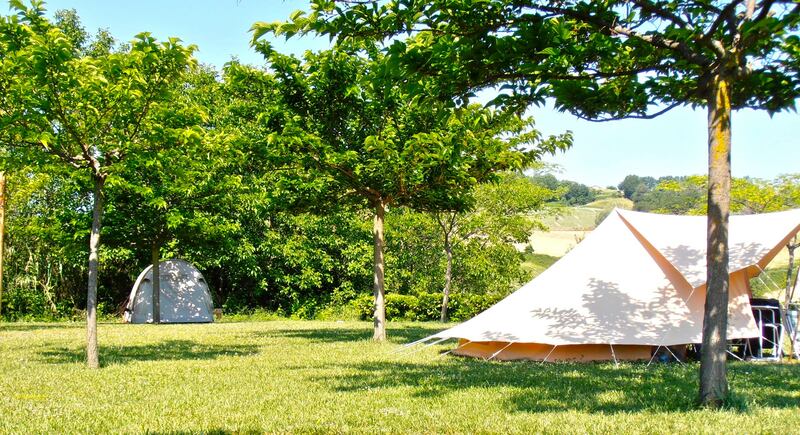 You camp on grass and our mini camping is only accessible for those who bring their tent. No campervans, no caravans or tent trailers; sorry. This is camping the way it’s meant to be. 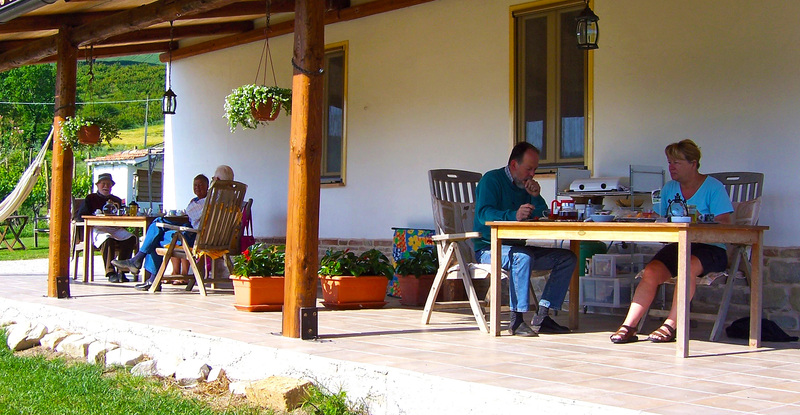 When you prefer quietness, an undisturbed view and good hospitality then our camping in Italy is the place to be! 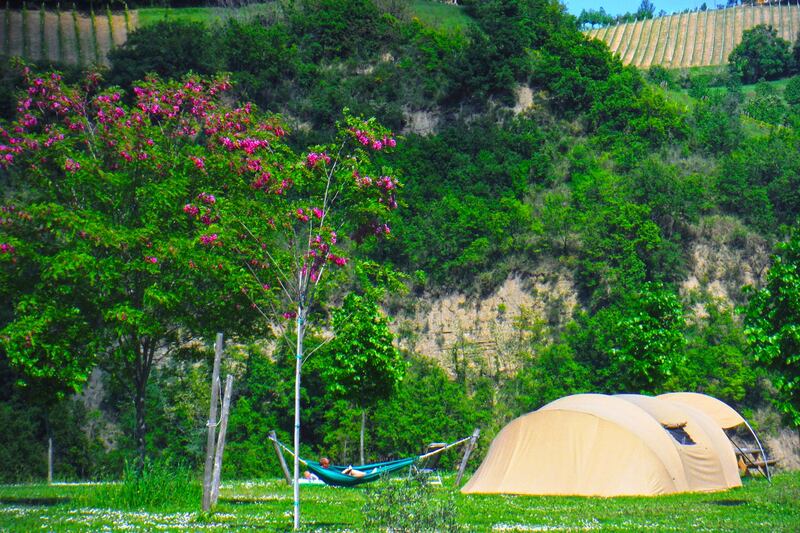 According to the Dutch Automobile Association (ANWB), Agricamp Picobello is one of the 75 best, beloved and most charming camp sites in Europe. Don’t wanna hassle with all that camping gear? You want to camp but your travelling by plane? 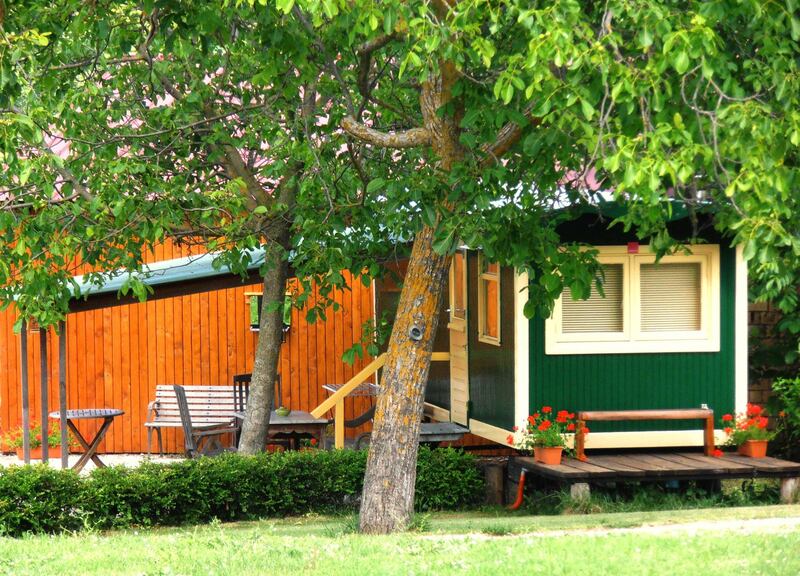 The answer is: Enjoy a carefree holiday at Agricamp Picobello. Good quality rental tent that sleep up to 4 people. Is this your holiday in Italy? Yes, we think so! Our farmhouse has two double en-suite bed and breakfast rooms. We serve you an excellent breakfast at your table on the furnished veranda. There is also an outdoor kitchen free for use so you can even prepare your own dinner any time you like! Like the idea of camping, but what you really want is strong, solid, weather-proof walls? 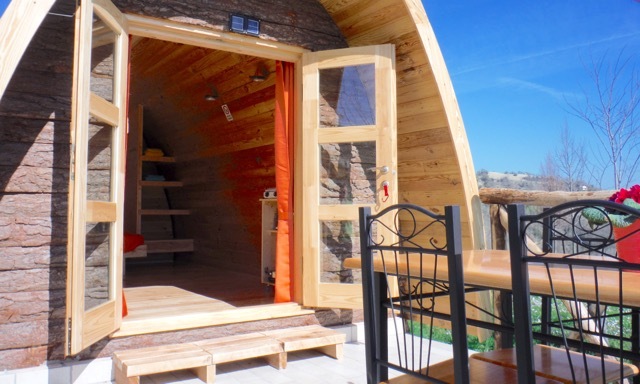 Then look no further – a glamping pod or Eco-Shell could be just the thing for you. This is so much more than a holiday cottage… It’s perfect for couples who want a romantic break together or families looking for an exclusive ‘cool camping’ getaway.